Gold-plated jewelry is made by covering a base metal, usually silver, with a very thin layer of gold. Since the gold layer is so thin and reactive with silver, it will eventually wear away despite your best attempts to preserve it. This wearing away process can take as little as a year depending on whether a barrier was created to separate the silver and gold layers. Usually, a copper barrier will be used to slow down the reactive process. With the copper barrier, the gold-plating will still wear away, but it will take much longer than a year for it to do so. Gold-plating is usually used as party or costume jewelry. 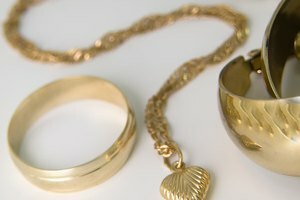 However, if you are unable to afford gold or gold-filled jewelry, there are several steps you can take to preserve your gold-plated jewelry. Keep gold-plated jewelry away from hard surfaces. Bumps and scratches will cause the gold layer to wear away faster. 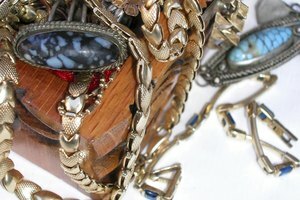 Store your gold-plated jewelry in a velvet lined jewelry box, or wrap it in a soft material that will prevent scratches. Lightly wipe your gold-plated jewelry with a damp cotton cloth. This will help to eliminate any dirt or dust from accumulating on the surface and wearing away the gold layer. Use a non-abrasive jewelry polishing cloth and gently rub the gold-plated jewelry to restore shine. 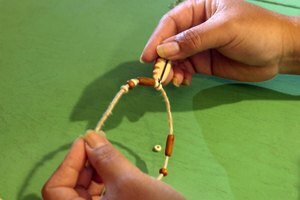 Take the gold-plated jewelry to a local jeweler where they can replace the gold layer. This may be necessary if the gold-plating has already started to wear off. Check with your local jeweler to see what they charge for this service.